Transobturator (TOT) placement of midurethral slings has demonstrated excellent efficacy similar to retropubic approaches with regard to treatment of female SUI; however, the TOT vector of implantation has also manifested a select and unique complication profiles. In addition to recognized complications of all midurethral slings, including mesh erosion, postoperative voiding dysfunction, and obstruction, intricacies of TOT placement and obturator foramen anatomy dictate individualized evaluation and management of complications. Indeed, de novo neurologic manifestations of thigh and groin pain mandate TOT-specific treatment strategies. 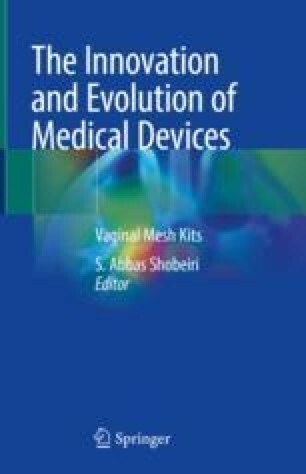 Management of TOT complications are discussed in this book as the vaginal mesh kits use the same transobturator approach used for TOT slings and may require a some of the same approaches for removal. U.S. Food & Drug Administration. Medical devices. Urogynecologic surgical mesh implants. FDA’s role and activities. Updated 4 Jan 2016. http://www.fda.gov/MedicalDevices/ProductsandMedicalProcedures/ImplantsandProsthetics/UroGynSurgicalMesh/ucm262301.htm. Accessed 15 Sept 2017. U.S. Food & Drug Administration. Medical devices. Considerations about surgical mesh for SUI. Updated 27 Mar 2013. http://www.fda.gov/MedicalDevices/ProductsandMedicalProcedures/ImplantsandProsthetics/UroGynSurgicalMesh/ucm345219.htm. Accessed 15 Sept 2017. American Urogynecologic Society (AUGS) and the Society for Urodynamics, Female Pelvic Medicine and Urogenital Reconstruction (SUFU). Position Statement. Mesh midurethral slings for stress urinary incontinence. Jan 2014; updated Jun 2016. http://sufuorg.com/docs/news/augs-sufu-mus-position-statement.aspx. Accessed 15 Sept 2017.